If you are preparing for travelling, one of the most important things to be aware of is the gas budget. How much money you will need to get there, do you have enough, etc. 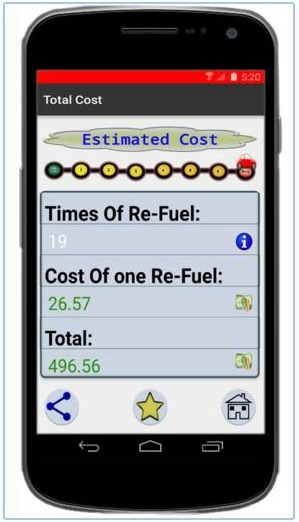 Those questions that are troubling your mind can be solved in less than a minute, by this newly released app on the Android platform called Gas Travel. The developers did an amazing job in making it one of a kind, with intuitive user interface and a whole set of organized features. The Gas Travel app is pretty easy and simple to use. All you have to do is download it and enter the required information. Then, let it work and do the calculating job. You can do the calculation based on the location, where you can search by zip code and by state or by miles and kilometers. You can also enter the type of gas you will be using: regular, midgrade, premium and diesel (note that the prices are constantly updated). The calculations are made by the type of your trip, whether you’re travelling on the highway or in the city. Gas Travel will also notify you how many times do you have to stop to refuel and it will tell you the cost of each refuel you make. In order to enjoy these amazing features, download the app for free from Google Play.